8 1/4" overall. 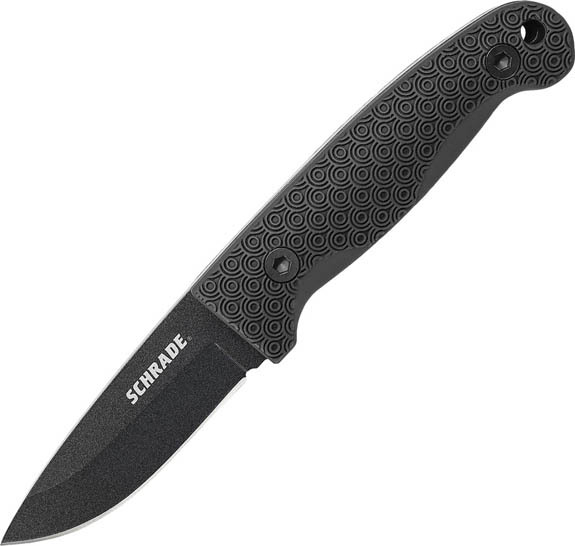 3 1/2" black finish 1095 high carbon steel drop point blade. Full tang. Contoured black textured TPE handles. Lanyard hole. Includes firestarter with ferro rod. Black nylon belt sheath holds both.